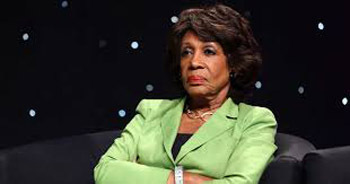 A black Trump supporter went ballistic on Democratic Congresswoman Maxine Waters outside her town hall meeting in Gardena, California June 24. A crowd of Trump supporters positioned themselves outside the town hall with Trump signs and a bullhorn, going off on the congresswoman for being a black racist and destroying the black community by giving American jobs to illegals. She also brought up Waters’ ties to Russia in investments. According to House financial disclosure documents Waters held $200,00 in Russia-linked retirement accounts. When will this woman retire? Her mind is clearly slipping and it would be best if she simply steps down.